I get in very heated arguments over this movie, primarily over the character of Summer. The problem I have is with people who judge her; she was completely honest, and ten times more reasonable than Tom’s character. He made her up to be something she wasn’t, and something she kept reminding him she could never be. She thought they were on the same page and broke it off when their relationship had run its course. There are so many problems with people who say Summer is a jerk, or people who say Tom is the perfect guy. The point of the movie (as said by the people involved in the making of the movie) is to show the dysfunction of this relationship, and the dysfunction of living that way. The ending isn’t a positive thing, it shows that he has not learned anything from his mistakes and isn’t going to change how he behaves in new relationships. One of the most intelligent characters is Tom’s little sister who says, “Just because she likes the same bizzaro crap you do doesn’t mean she’s your soul mate,” which sums up the entire premise of the film. All that being said, I really love this movie for what it is. And it is not a love story. 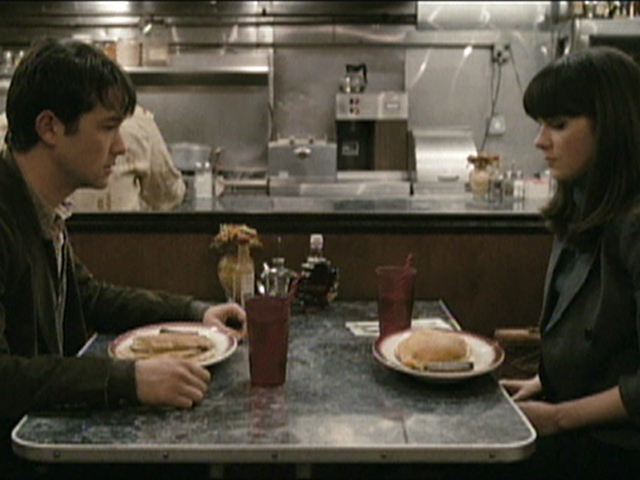 Tags: 500 days, 500 days of summer, 55 movies to get you to christmas, joseph gordon levitt, joy writes things, zooey deschanel | Permalink.